Plating is important to neodymium magnets with salt spray resistance and excellent moisture resistance ,because neodymium magnet contain iron (Fe) at least 40%, The iron is easy to be rusty. Technician team of EUKE are positive to research and develop magnet surface protection technology and obtain improvement. EUKE is able to manufacture kinds of plating neodymium magnets, including nickel, nickel -copper- nickel-NiCuNI, Zinc, silver , gold, Sn, Cr3 +Zn, black nickel, Ni+Sn , phosphatizing. The Ni+Sn plating magnets of salt spray testing time can last120 hours. We guarantee that magnets from our company can work under harsh condition and all coatings are in line with ROHS standards. For elegant appearance and protection, according to customer's requirement , the Samarium cobalt magnet can be make NiCuNi plating. Compared with SmCo magnet and ferrite magnet and alnico magnet, coating neodymium magnet is easier to be rusty. So, How to store magnet is important. Some customers may place order magnet seasonaly, need pay more attention on storage matters. Do not put magnets under moisture place or under poor air circulation condition; Even if the magnet is qualified with salt spray test. 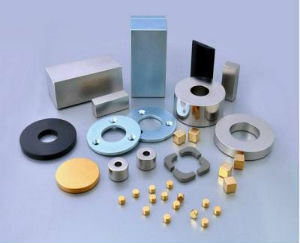 Most magnets are made Nickel-Copper-Nickel (NiCuNi) plating.